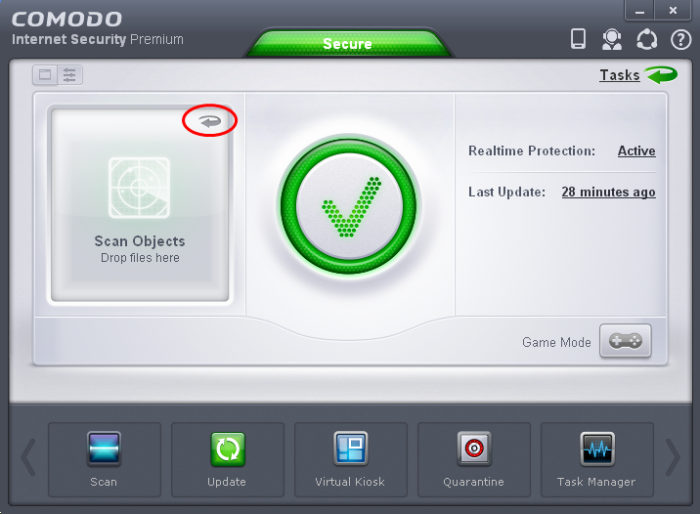 Comodo Internet Security allows you to run programs inside the Sandbox on a 'one-off' basis. This is helpful to test the behavior of new executables that you have downloaded or for applications that you are not sure that you trust. Adding a program in this way means that it will run in the Sandbox this time only. On subsequent executions it will not run in the sandbox (presuming it passes the sandboxing process). Note: If you wish to run an application in the sandbox on a long-term/permanent basis then add the file to the sandbox. 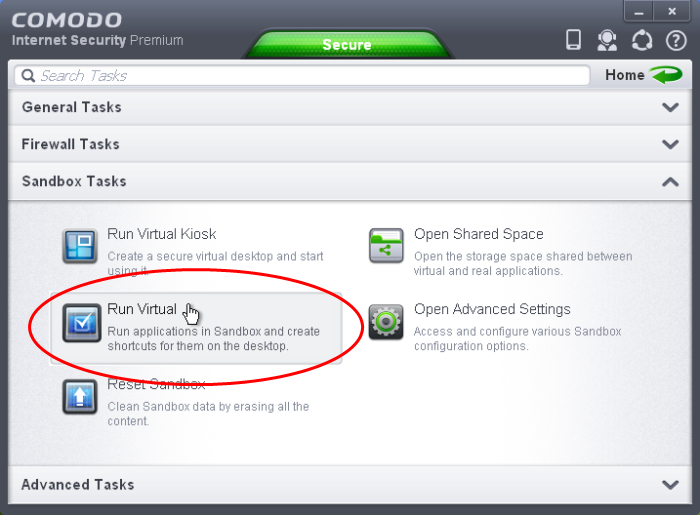 Open the Sandbox Tasks interface and Click 'Run Virtual'. The 'Run Virtual' dialog will be displayed. 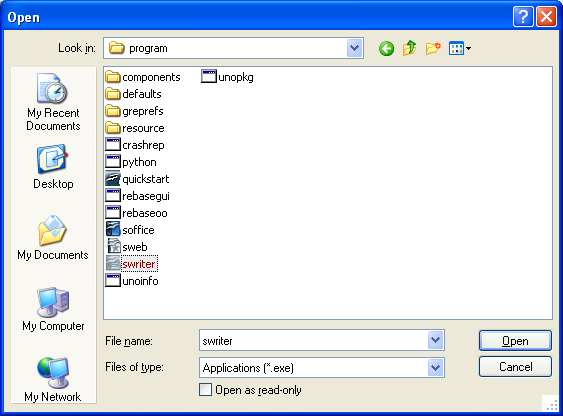 To run an application inside the sandbox, click 'Choose and Run' then browse to the application. The application will run with a green border indicating that it is sandboxed. If you wish to run the application in the sandbox in future, then select 'Create a virtual desktop shortcut'. Browse to the application and click 'Open'. 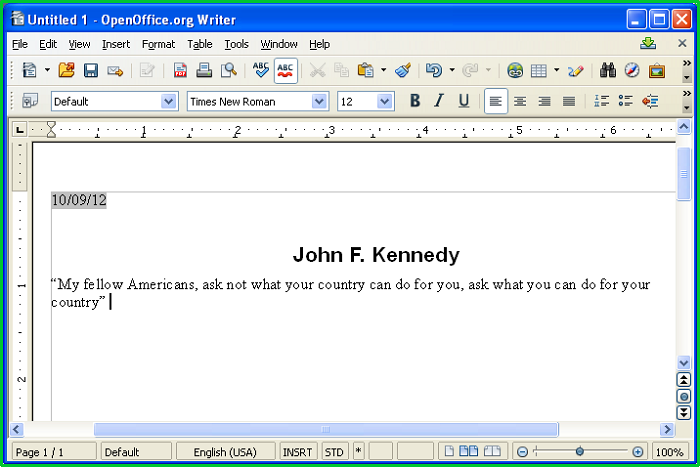 In the example above, Open Office Writer is chosen. In the Compact View of the Home screen, the flippable pane at the left side allows you to run instant scans or run a program in sandbox. To flip the pane to carry out these tasks, just click the curved arrow at the top right side of the pane. 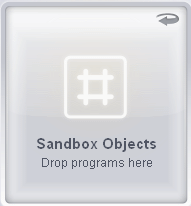 To run a program in a sandbox, first flip the pane by clicking the curved arrow at the top right side to display 'Sandbox Objects'. 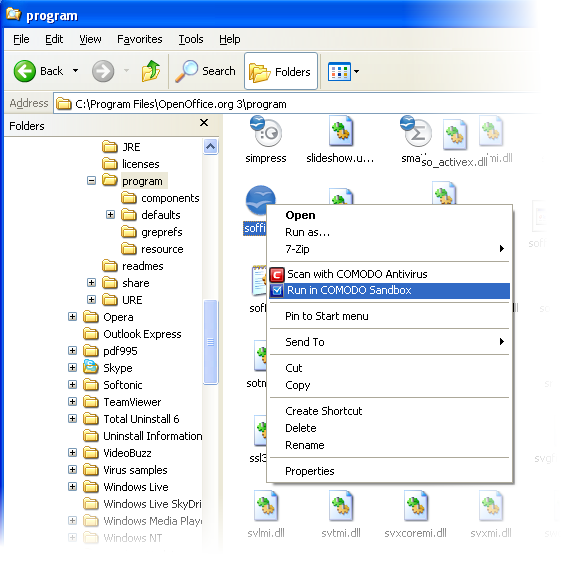 Now, navigate to the program in your system that you want to run in sandboxed environment and just drag and drop into the box. The CIS Desktop Widget displays shortcut icons of the browsers installed in your computer. Clicking on a browser icon will start the browser inside the sandbox. The browser will be started and executed inside the sandbox at 'Fully Virtualized' level. CIS displays a green border around the windows of programs to indicate that they are running inside the sandbox, if the setting 'Show highlight frame for virtualized programs' is enabled in Sandbox Settings. The application will run in the Sandbox on this occasion only. If you often want the browser to run sandboxed then create a 'virtual shortcut' for the application by selecting the check-box 'Create a virtual desktop shortcut' in step 2. If you wish to run an application in the sandbox on a long-term/permanent basis then add the file to the Sandbox.